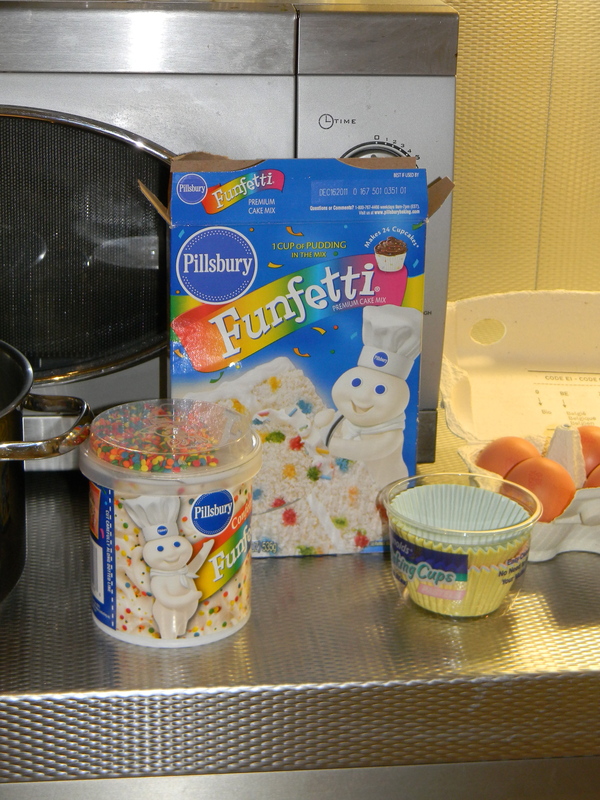 Saving the best for last…FUNFETTI CAKE MIX and FUNFETTI FROSTING! Are you kidding me?!?! This is the ONLY cake I request on my birthday and I was sad to see May 3rd come and go without it…but, here it was! I don’t care if I spent $15 on the ingredients. 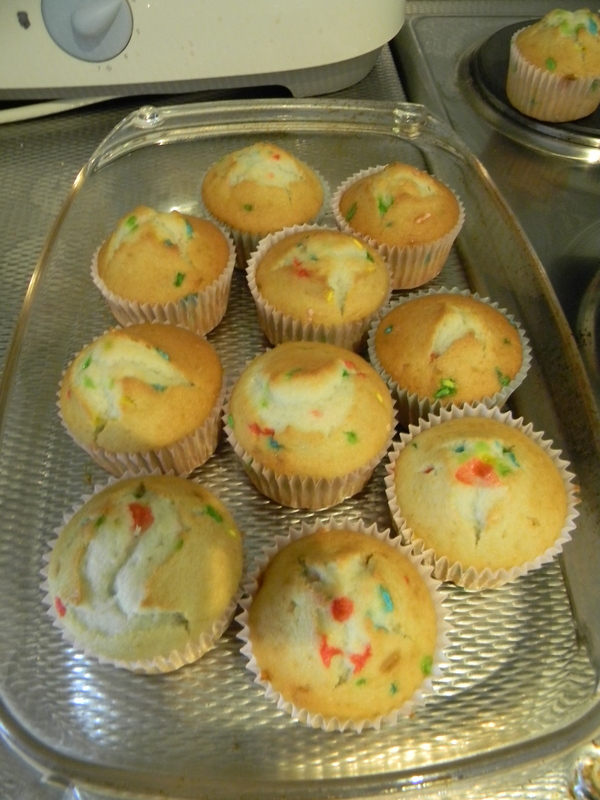 Soo, here I am, 2 weeks later, making the cupcakes for a dinner with American friends tonight (had to wait until others would be joining us to eat the cupcakes for fear I would eat them all). It just so happens to be my BFF’s birthday too…so, a little celebration in her honor. Mmmm, don’t they look amazing? I already licked the bowl…and I’m patiently waiting to eat one after dinner tonight. 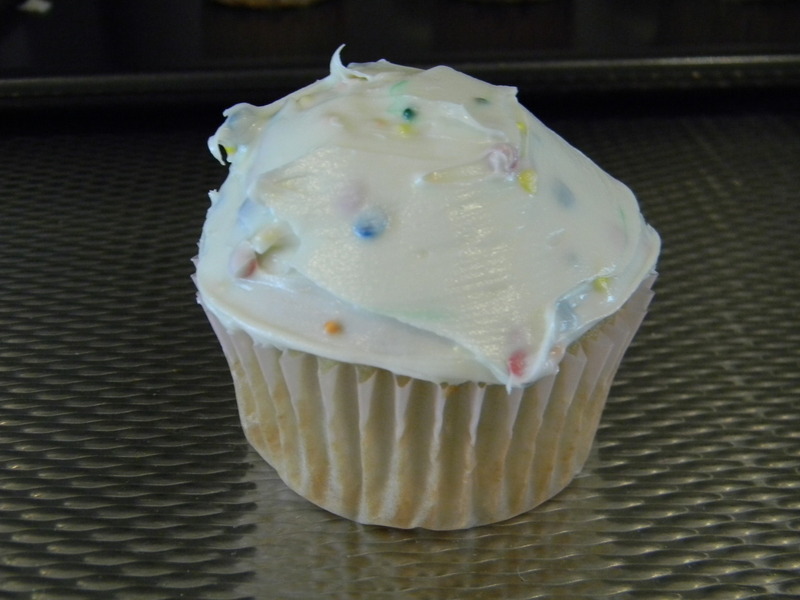 By the way, the ONLY acceptable way to frost funfetti cupcakes (in my opinion) is by MIXING the sprinkles into the frosting. PS thanks for the bday shout out! 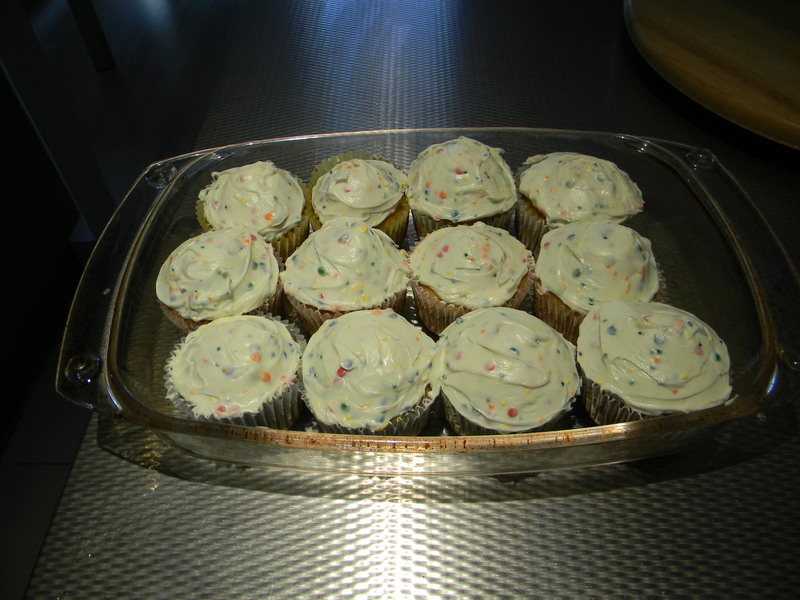 Funfetti cupcakes are the best.